PALMDALE- More Palmdale School District students will have the opportunity to attend neighborhood schools this fall, many of them within walking distance of their homes, thanks to an upcoming 2014-2015 rezone. Palmdale School District is divided into many small geographical regions called zones. Residents in each zone are assigned to attend a specific elementary and intermediate school. A rezone is the process of district administration evaluating and changing zones and their school assignments. This particular rezone comes along with the reopening of Tamarisk Elementary School. Tamarisk was closed, along with two other schools (Wildflower Elementary and Mesa Intermediate) in 2010 to reduce district operating costs during the worst of California’s financial crisis. Not every school in Palmdale School District will be affected by the 2014-2015 rezone. Families with students attending a school affected by the rezone will receive a letter notifying them of what zone they are in and what schools they are assigned to attend. 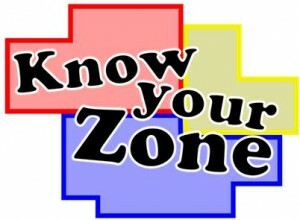 Residents can look-up their zone and school assignment by visiting the Palmdale School District website at www.palmdalesd.org and clicking the “Know Your Zone” icon on the right hand side. Residents are also welcome to contact Palmdale School District with any questions they may have at 661-947-7191. 2 comments for "Palmdale schools rezone for upcoming school year"
I agree with CITIZEN. To not inform us until after the lottery deadline had past is backwards. I live right across the street from the school my child has attended since Kinder. Now she’s rezoned to a further school. I’m so disappointed how they juggle the students around so carelessly. Why not leave the kids where they’ve been and rezone new kids coming into the district. The most frustrating part about this whole “rezone” is the fact that the letters went out after the school choice lottery deadline was over. When Tamarisk closed they uprooted my kids from Cimarron to Joshua Hills. I begged to stay at Cimarron and was told that was not an option. Now, I have to go back to Cimarron, the school I didn’t want my kids to leave in the first place?? I have one 6th grader that is devastated at the fact that she will leave friends she has had for four years and the school she has grown to love. I find this completely ridiculous, the timing of the letters and the deadline to apply to remain at Joshua Hills. I work for a school district and in my opinion, this is not acceptable. Parents should have been given sufficient time to apply for school choice/open enrollment once letters went out. This is so backwards. Get your act together PSD!